A slow-growing, extremely compact variety. In six years this plant reaches app. 30 cm and a width of 40 cm. The leaves are a wonderful carmine-red colour. In May it produces tiny yellow flowers. Recommended for low hedges, borders and rock gardens or in pots on the terrace. A slow-growing pine with a very compact habit. Good to be used in a small (rock)garden. The branches of this upright plant are usually crowned. In April-May it produces beautiful deep red flowers. 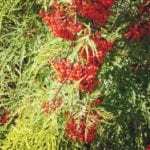 Preferable to a humus-rich soil in a sunne place.The final height is approximately 200 cm. It produces a beautiful autumn colour. 'Gail' stands for happiness, being full of life. That's exactly what Magnolia Gail's Favourite is! 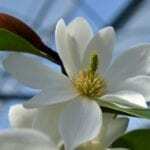 This Magnolia looks vibrant with its dark green foliage, a bushy and upright growth habit and white, fragrant flowers. 'Gail's Favourite' flowers abundantly in early summer. 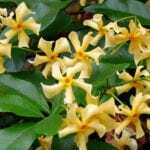 It has attractive golden-brown flower buds that feel as soft as suede. When the buds open, lovely white flowers with yellow hearts appear. Happy moments indeed! 'Gail's Favourite' is winter hardy to -15 degrees Celsius. 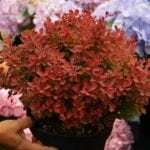 It thrives in fertile, well-drained soil in a sunny spot. It can reach up to 2.50 mt high and 1 mt wide. It works great in a container on your balcony, patio or terrace. 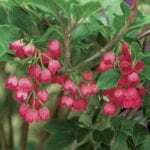 Also suitable in borders and mixed containers. 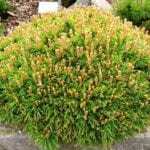 A new marvelous variety particularly distinguished by having orange-brown to light-orange immature foliage and light-green mature foliage, dense, relatively narrow foliage, a compact plant shape and densely branched, is disclosed. 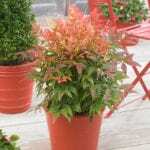 'Sunset Boulevard' is applicable in any garden, suitable for patio or on the balcony in a beautiful pot. Hardy, if in the full-range to -15 degrees Celsius. The bee tree is a fine tree, which is ultimately between 7 and 10 meters in height with a round crown. Bee tree blooms until the end of July to August and is one of the later flowering trees. Wide yellow flowers with white loose panicles, offer flower nectar much and is therefore a good bee plant. The bloom is followed by purple-red fruits, which can have more value than ornamentales blooming! Smooth uneven, 5 folding sheets, dark green shining above and below turn gray green, yellow in the autumn color. The bee tree (Tetradium daniellii) is a fine tree, which is ultimately between 7 and 10 meters in height with a round crown. 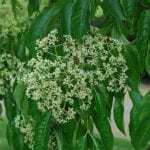 Bee tree blooms until the end of July to August and is one of the later flowering trees. Wide yellow flowers with white loose panicles, offer flower nectar much and is therefore a good bee plant. The bloom is followed by purple-red fruits, which can have more value than ornamentales blooming! Smooth uneven, 5 folding sheets, dark green shining above and below turn gray green, yellow in the autumn color.